positions in the Mapleshade School District. Why should you hire me? 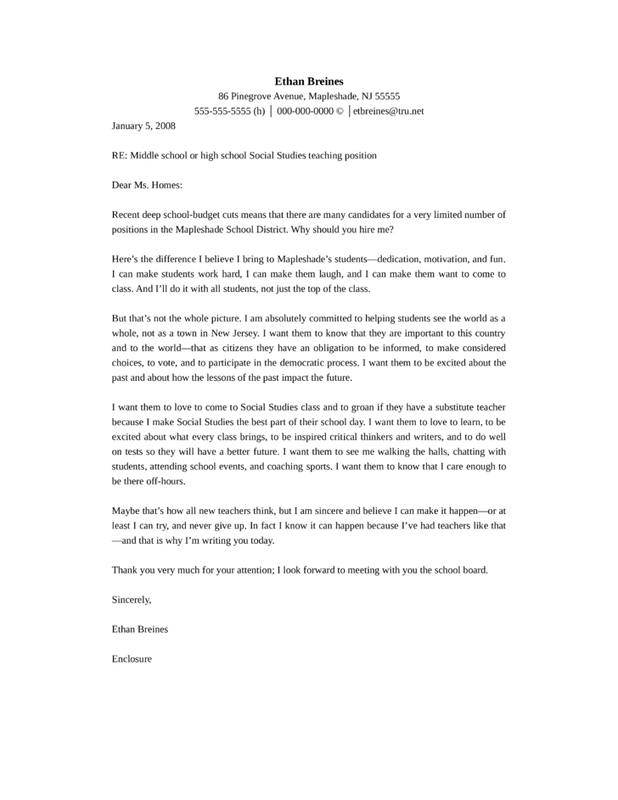 Here’s the difference I believe I bring to Mapleshade’s students—dedication, motivation, and fun. class. And I’ll do it with all students, not just the top of the class. past and about how the lessons of the past impact the future. —and that is why I’m writing you today. Thank you very much for your attention; I look forward to meeting with you the school board.